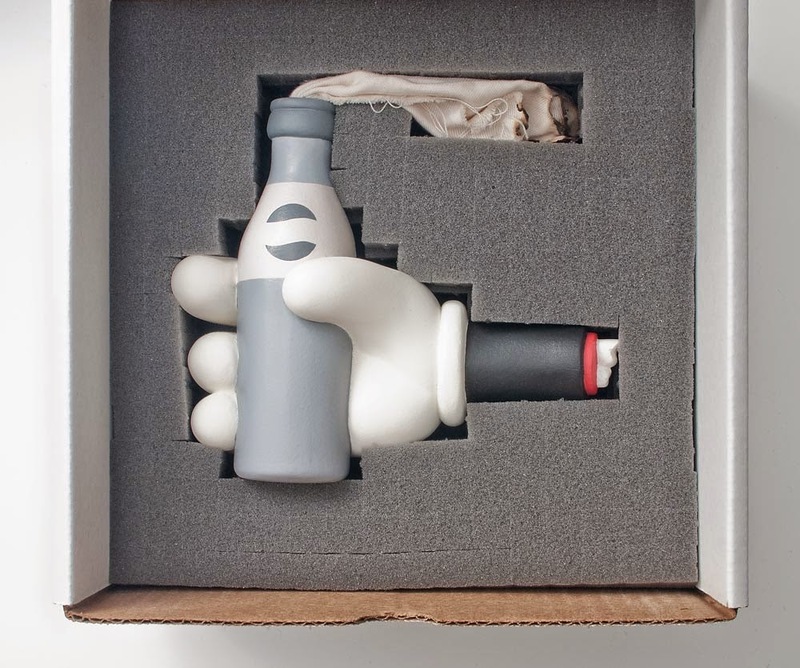 Mighty Jaxx recently collaborated with famed skate/surf/rock illustrator Jimbo Phillips, transforming Jimbo's 'Easyrider' design into an art collectible. Measuring in at 9" x 6.5" x 8", this hand painted polystone art collectible retails for $120 plus shipping. 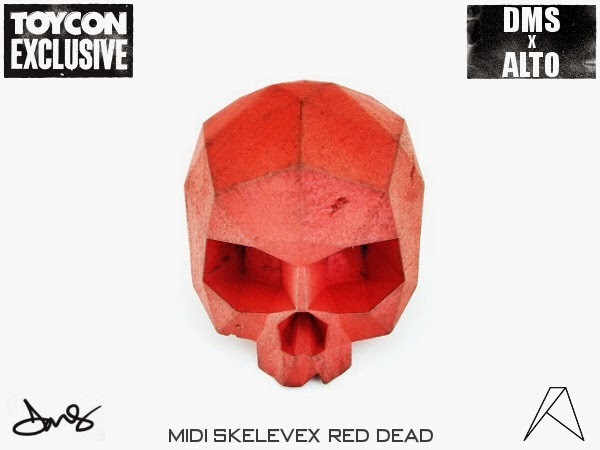 Limited to just 200 sets worldwide, Mighty Jaxx is releasing this wave of collectibles for pre-order on Friday April 24th, at 10pm New York time (10AM in Singapore). Be sure to check out Jimbo Phillips' website to see his amazing illustrative work. 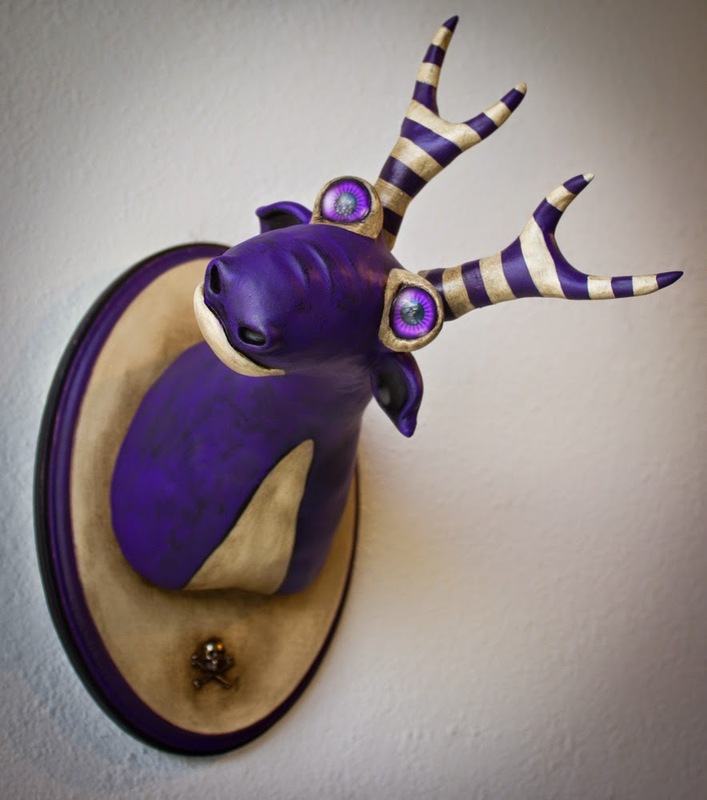 Valency Genis has gone sometime without an online shop, creating amazing faux taxidermy pieces. 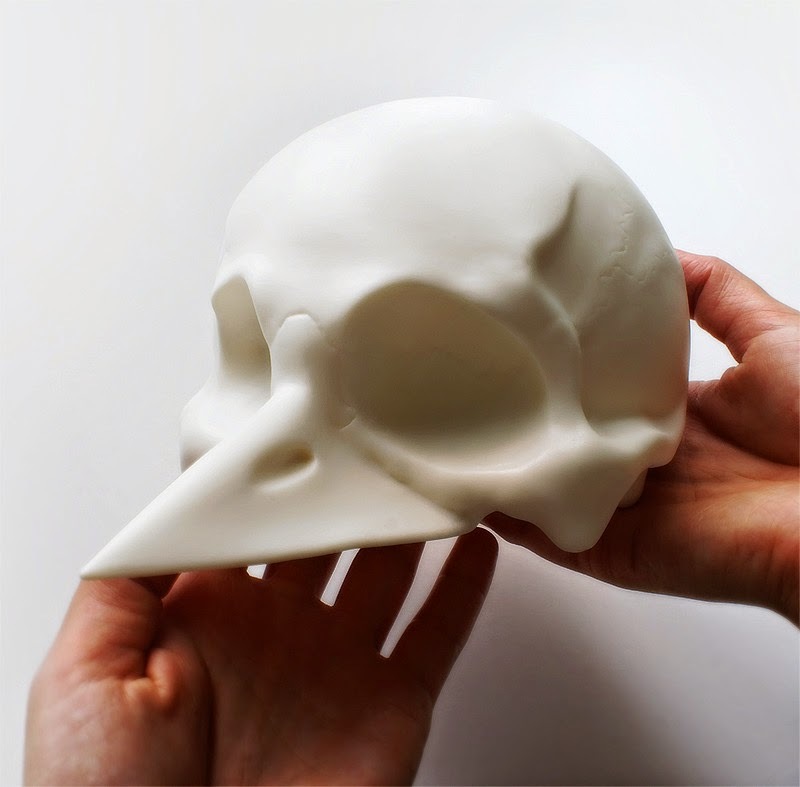 However, the only way to get one of her creative and unique Faux Taxidermy sculptures was to purchase one through a show(or maybe contact Valency directly). Valency has finally made the move and opened up an online shop. 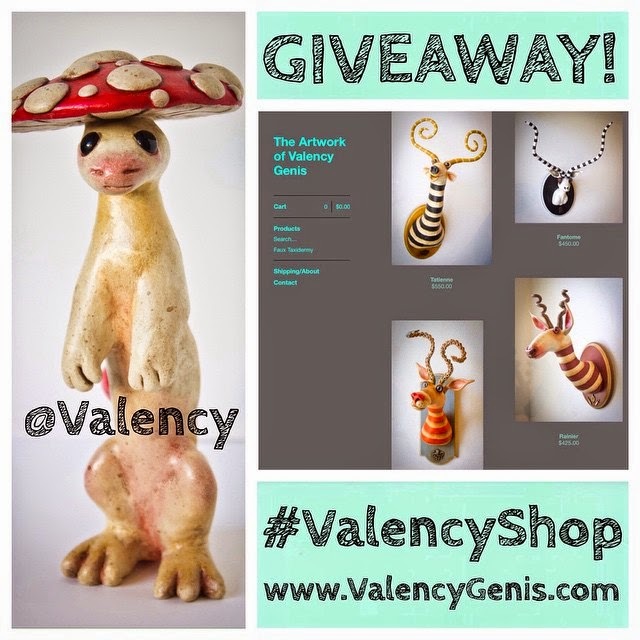 To celebrate, Valency is going to giveaway Augustus, one of her cute sculptures, to one of her many followers. To enter, people have to find Valency on Instagram (@Valency) and/or on Facebook (Facebook.com/ValencyArt), repost and/or share the picture above. Be sure to use the Hashtag #ValencyShop when posting the picture and tag "@Valency" in Instagram. 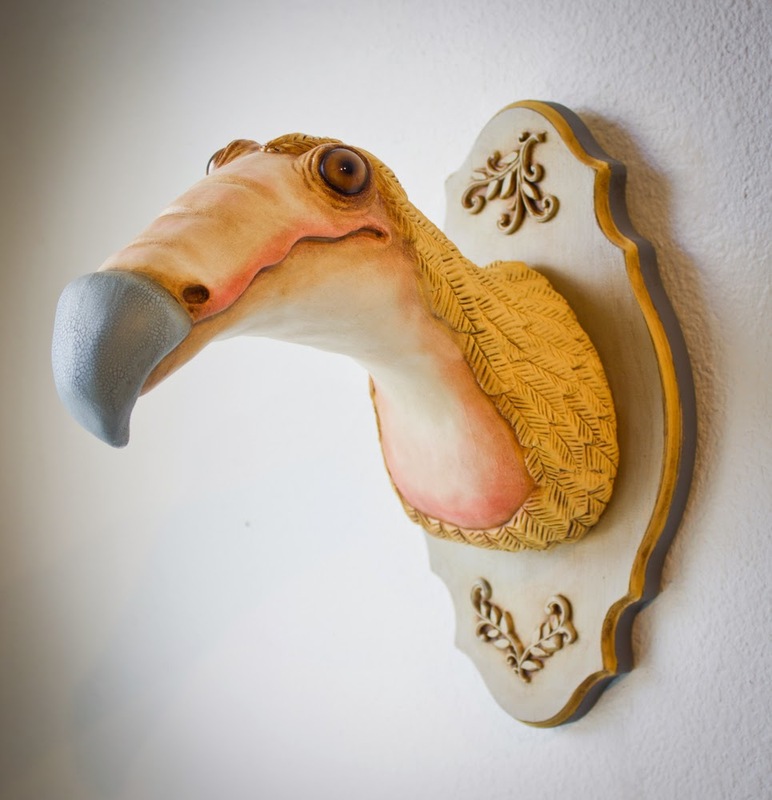 Valency has a number of amazing Faux Taxidermy wall mounts up on her site, so be sure to follow her on social media and check out her online store. First off, the Rampage Toys one-off customs (top row in image above). The Disarticulators have joined forces with Rampage Toys' Jon Malmstedt for a trifecta of one-off customs! 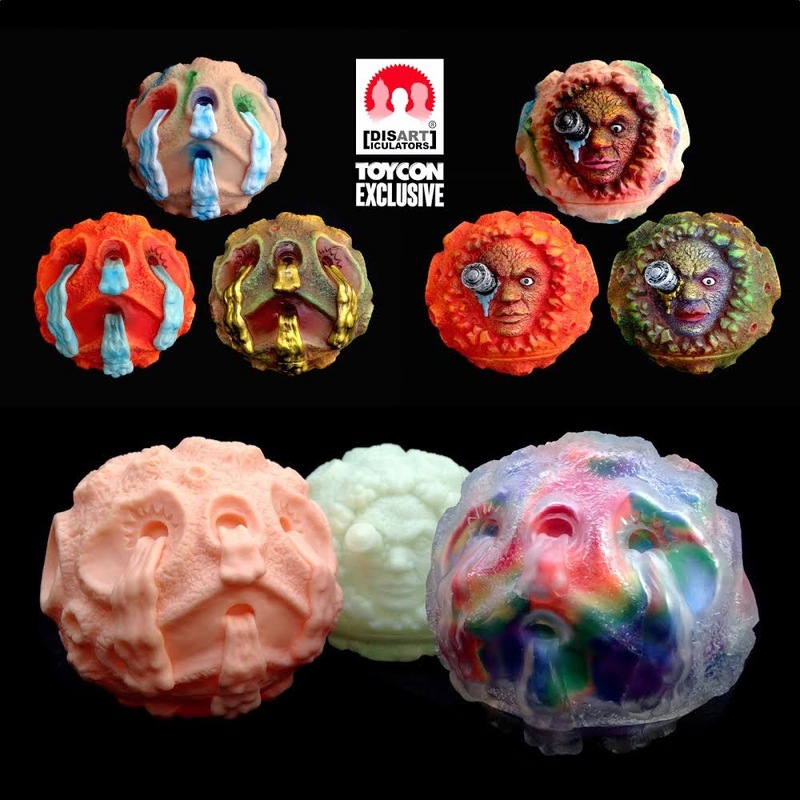 Produced in a non-squishy flesh-toned soft vinyl this time around – sadly sans squeaker – the Tru:Tek-designed, Zectron-sculpted balls have been treated to layers of unique sprays, rubs and brushwork. Rather aptly titled (from left to right) “Red Planet”, “Funfetti Ooze” and “Golden Sludge”, the trio will set you back just £65 a piece. 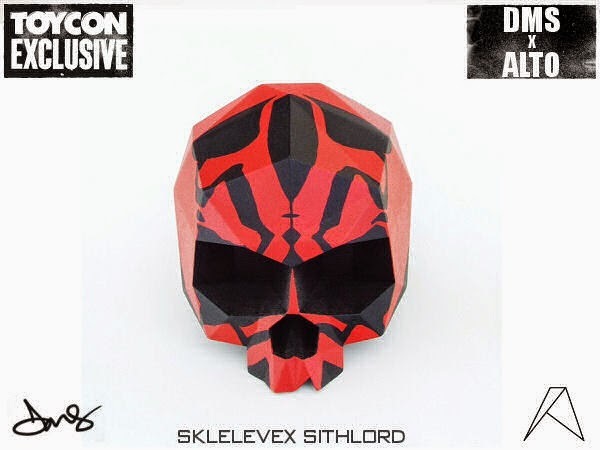 Next up is the ToyCon UK exclusive "Predatooze" (bottom right of above image). 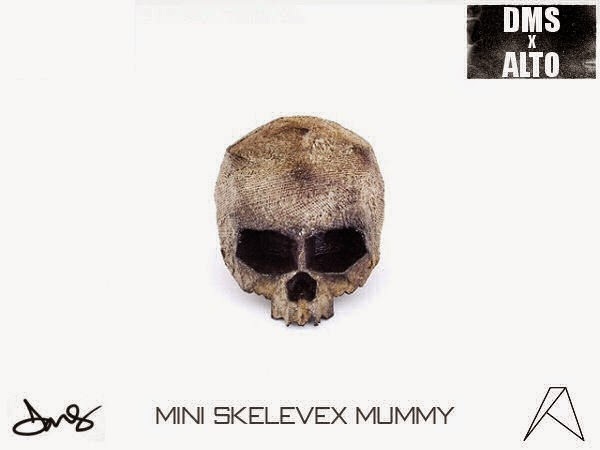 Produced in a squishy clear matt soft vinyl this time around, the vintage-style “squeaky toy” has been filled to the brim with custom tie-dyed pom poms to resemble the infamous thermal imaging effect from cult 80’s flick, Predator. Limited to an edition of just 8 - including a "Deep Heat" chase - alongside just 2 variants in a "Stealth" colorway (without pom poms), the "Predatooze" Oozeballs come packed with a deluxe double sided header for £35 and £32.50 respectively. 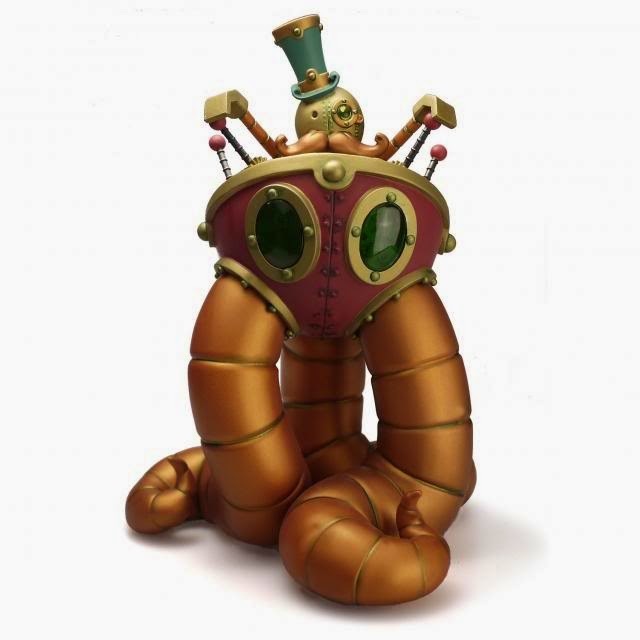 Joining both Predatooze and the Rampage one-offs, Tru:Tek will also be bringing along a super-limited batch of Oozeballs in both GID and flesh-toned non-squishy vinyl (bottom left of above image). Capped at just 2 of each and never to be repeated in this format (i.e. unpainted! ), these come packed with custom header cards for just £30 each. 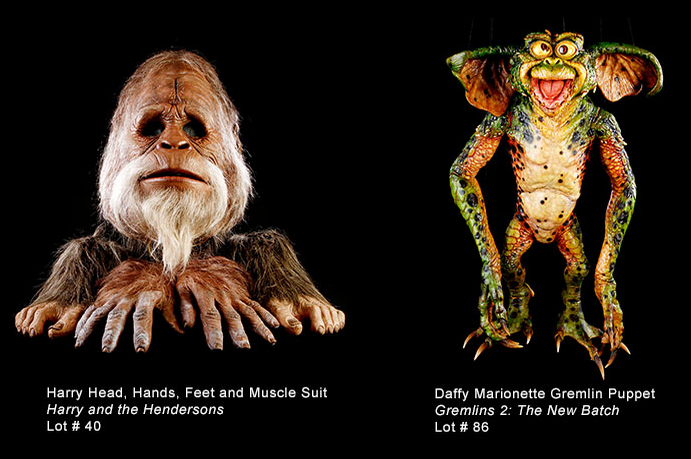 Over 400 amazing, one-of-a-kind props from the career of legendary make-up effects artist Rick Baker will be going up for auction on May 29th at 11AM at the Hilton Universal City in Los Angeles. 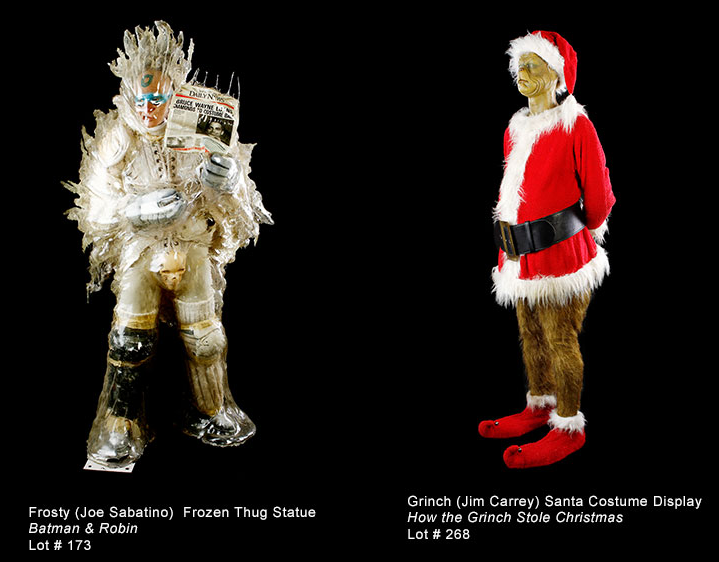 These pieces come directly from Rick Baker's studio and have NEVER before been offered at auction. 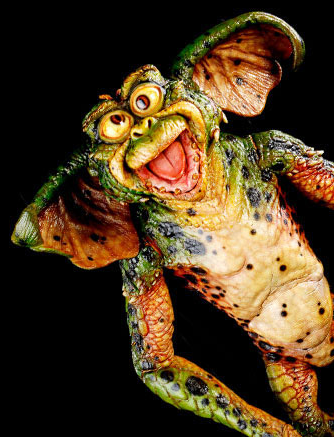 Auction items include pieces from over 50 productions, including Gremlins 2, Harry and the Hendersons, Men in Black, Batman & Robin, How the Grinch Stole Christmas and MANY more. 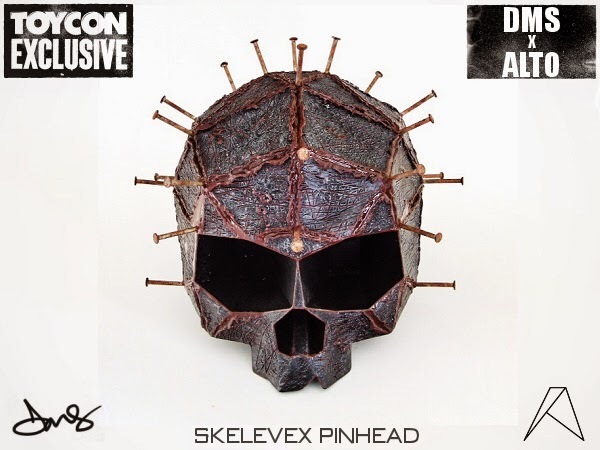 Come to the Hilton Universal City on May 29th to finally get the chance to purchase the props that formed your childhood brain! Or register here for phone bidding or absentee bidding. Check out the PropStore website here for all the information on the auction and the items that will be offered. Print and e-catalogs are both available. This event is not to be missed... talk about an epic auction. 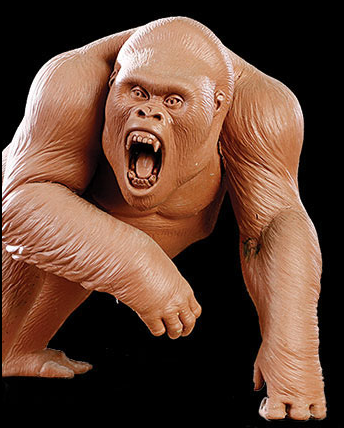 If you scored Lot #40, you could literally cosplay as the actual Harry from Harry and the Hendersons at Comic Con. So bananas! 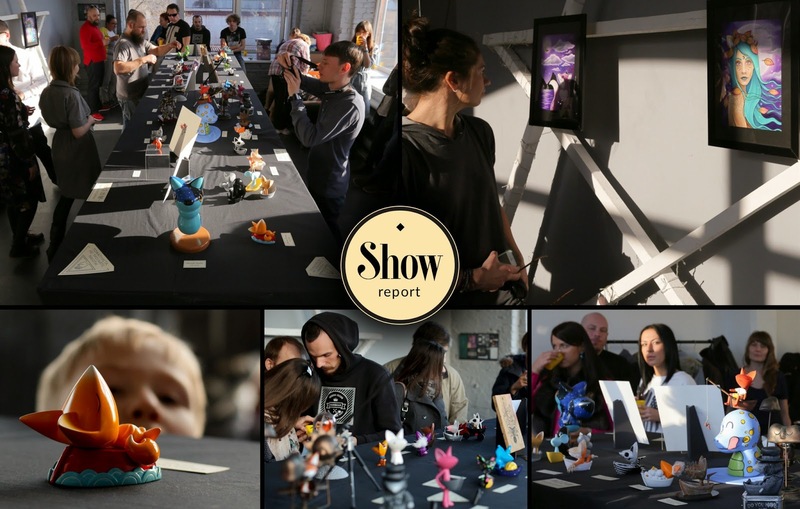 Sergey Safonov recently held a Toy Art Show called "Reimagining MoonFox". 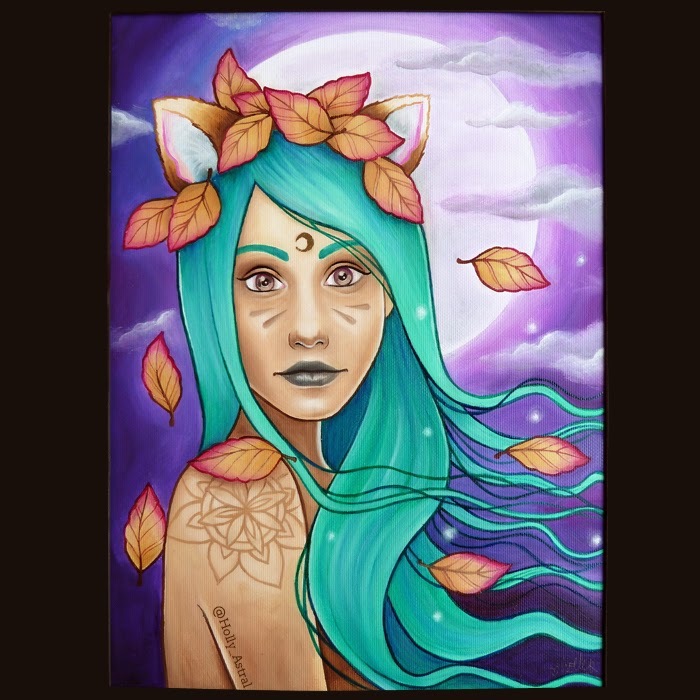 Featuring custom MoonFox toys and paintings, the show revolved around having artists recreate Moon Fox in his/her own vision. Most participating artists created custom 3D pieces inspired by Moon Fox, while a few created paintings. There are many pieces still available from the show, so be sure to take a look at the website and check out all the amazing pieces submitted by all the artists. On the show recap website, visitors can check out a nice video montage and all of the pieces submitted by artists, with background info on each artist. Everyone should check out the page and spend a bit of time reading. 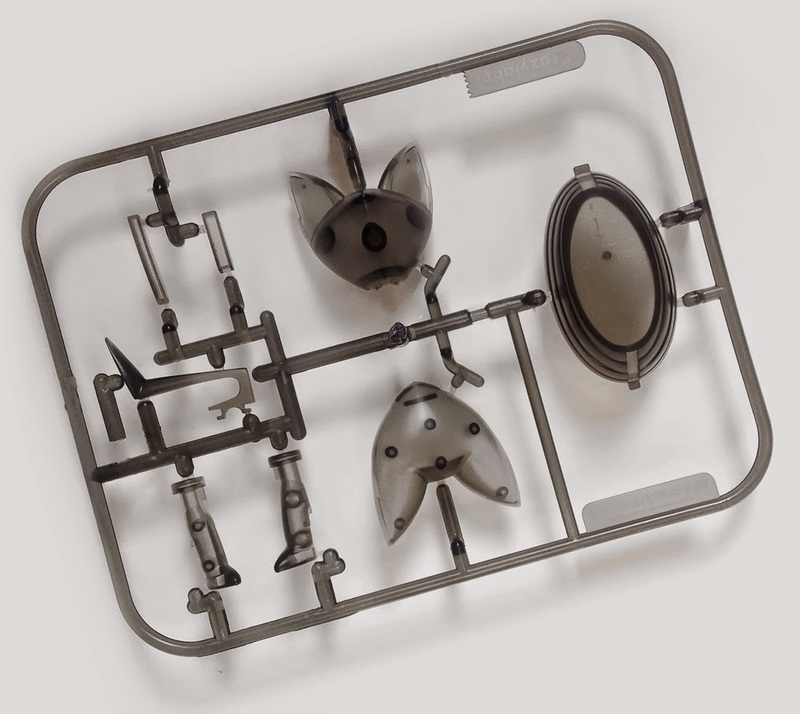 Sergey also created a Moon Fox kit, which people can purchase for $19.95 plus shipping from Crazy Label, to customize or keep as is. Great work by everyone involved. Here are a few pieces from the show. Be sure to check out the Show Report website for all the remaining pieces and video montage of the show opening. The Toy Chronicle are proud to reveal that the Bearded TTC Cavey will be exclusively available on the TTC booth at the upcoming ToyConUK on April 25th. Available for £15 each, these 2.5inch Bearded Cavey will come signed & numbered by Holly Astral (Hey Cavey). There are 20 available to purchase, each coming bagged with a beautiful header card. That's.... quite a mouthful of a title. 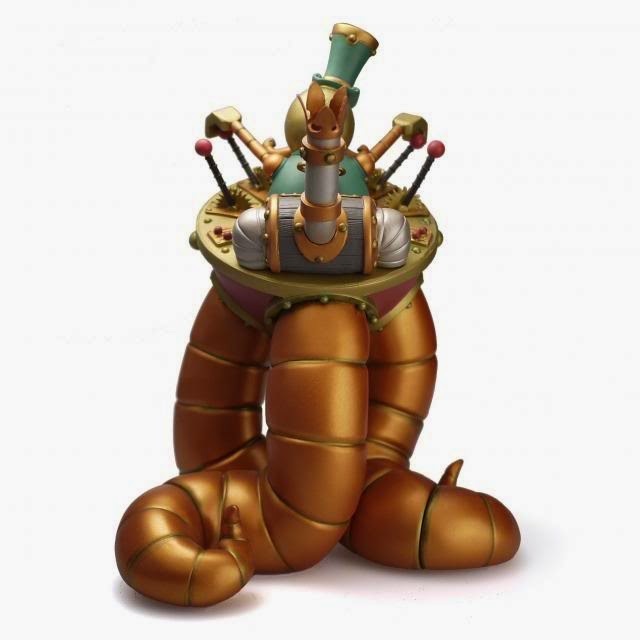 And rightly so, this is a giant, awesome, complex toy! Grab yours here. We have 2 left in stock at $80 each. 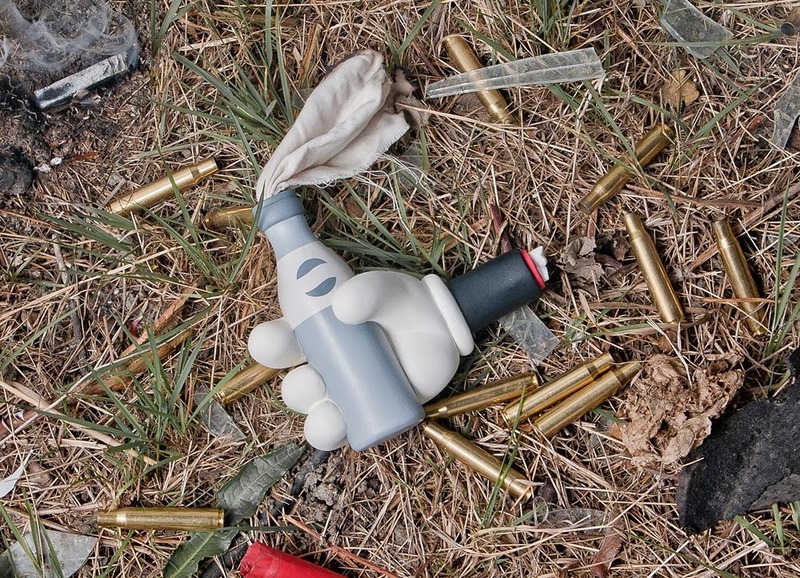 Rotofugi is working with Chicago-based artist Ryan McClure (aka Rocketboy) on the debut of his new 3D-printed (by Bold Machines) figure, Nowhitz. 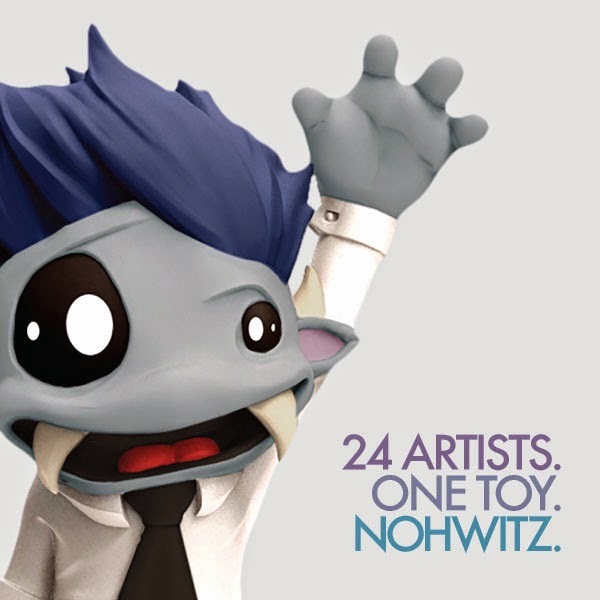 24 talented artists will give their take on the Nohwitz platform. We will email you all the details, links, fine print and the code itself. A bunch of our customers have already used it and saved a ton. The first customer saved $98! 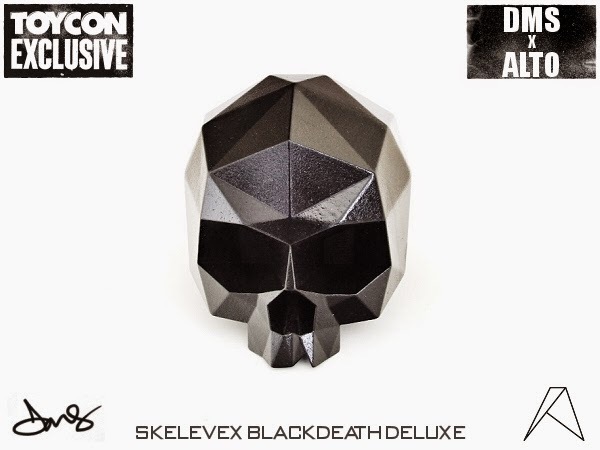 Alto and DMS are bringing a bunch of geometric skulls, Skelevex, to ToyConUK2015. 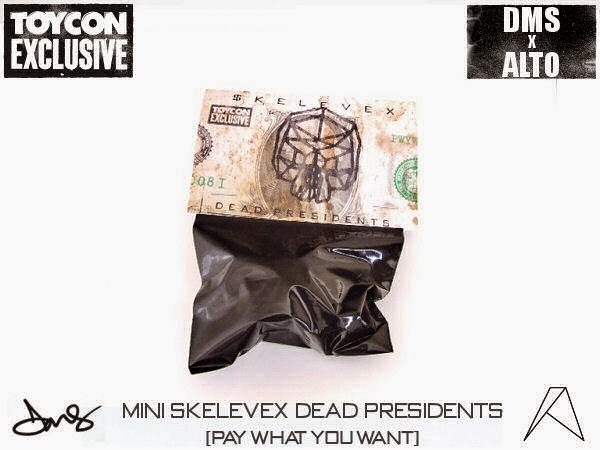 Everything from £10 Mini Stone Death Skelevex to a "Pay what you want" Dead Presidents Mystery Edition Mini Skelevex. 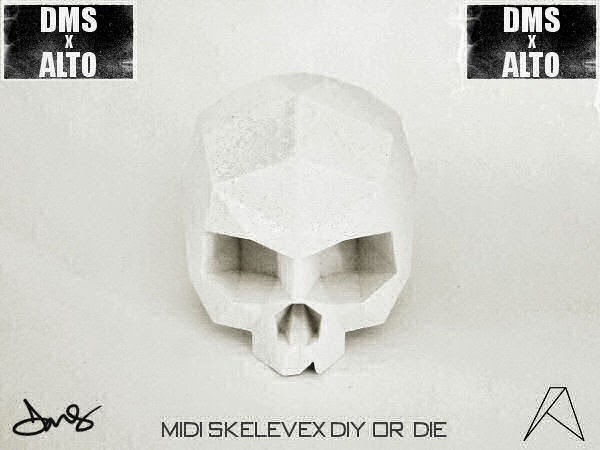 Not only will they have the Mini Skelevexes, but custom Midi Skelevexes will also be available which are 3.5" in size. 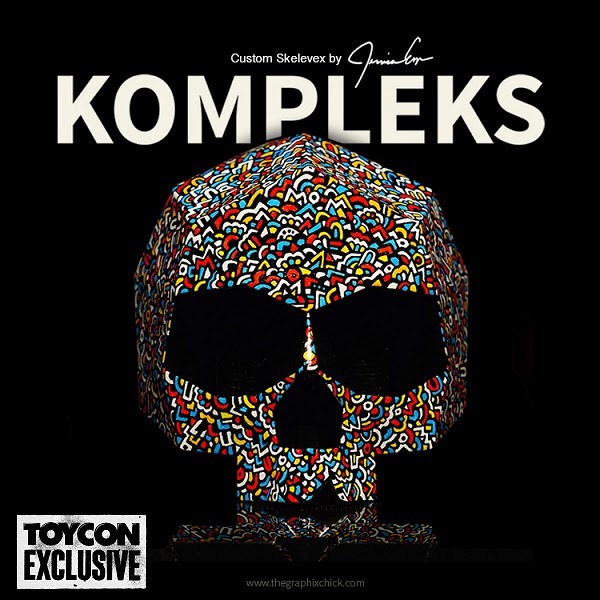 There will also be one-off customs by DMS, Jon-Paul Kaiser, Jessica Esper, and RunDMB. For those going to ToyConUK 2015 should be sure to stop by the DMS x Alto booth and check out all the great customs and creations. 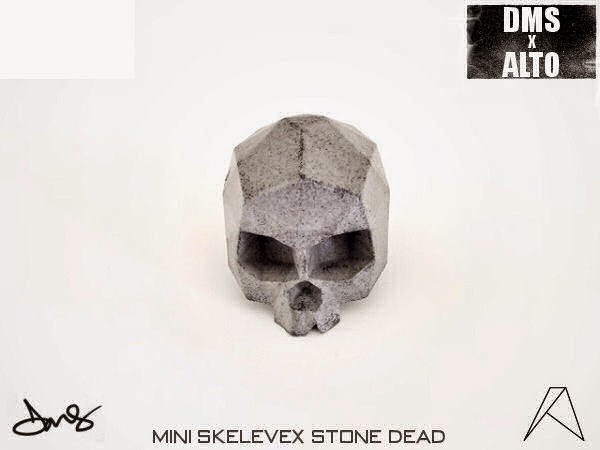 Also, for those who can't make ToyConUK 2015, some wire versions of Alto's geometric designed pieces are up for purchase on Shapeways, here. ToyConUK 2015 is coming up fast and artists are getting as much done as possible for the event. 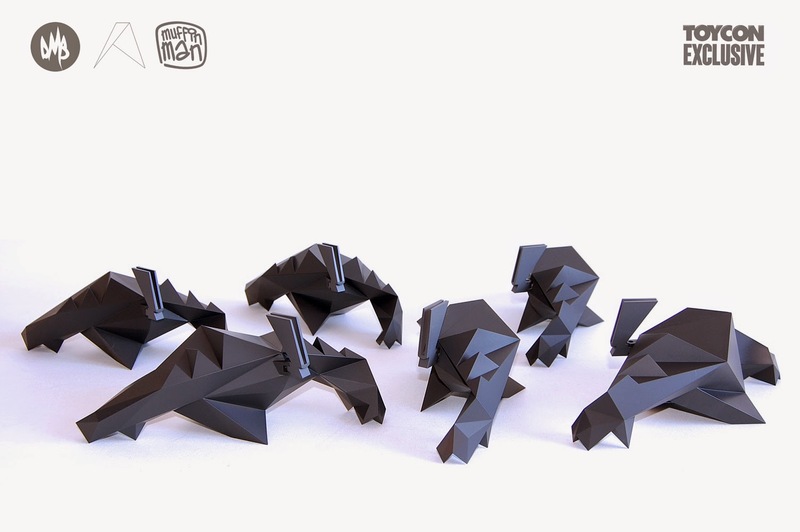 This year, Flatties has organized Fans of Tea Series 4, which features a number of custom Lunartik Teas which will be on display at the Lunartik booth. Cakes with Faces is based out of Coventry in the UK and has created a couple custom Teas for Fans of Tea Series 4. 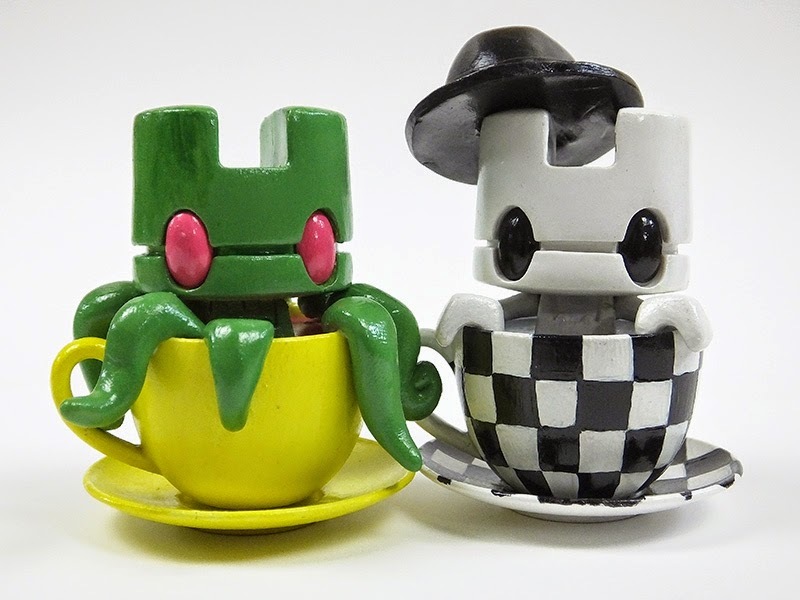 Aptly named Oc-Tea-Pus and Tea Tone, these punny named creations are not the first submissions by Cakes with Faces. 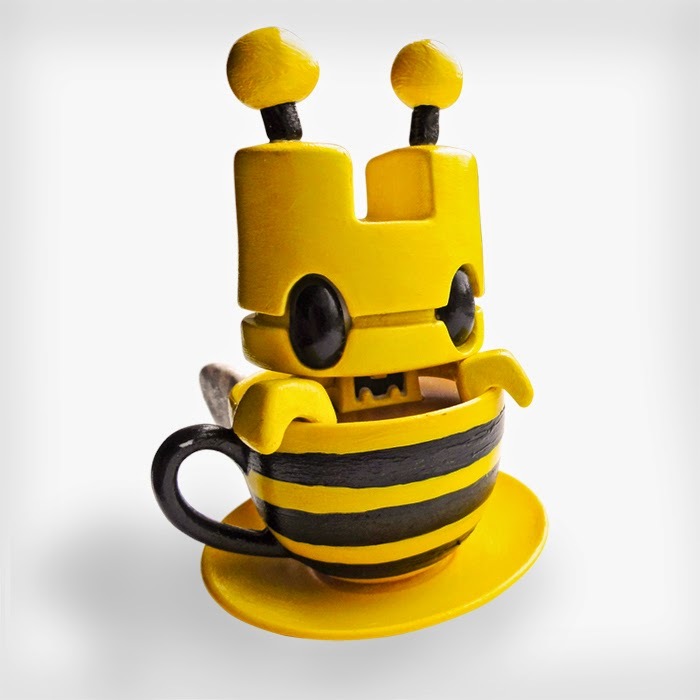 Buzzing Bumble-Tea was a part of the previous Fans of Tea Series 3. For everyone's viewing pleasure, Cakes with Faces have provided a cool time lapse video of the creation of both customs. Definitely nice to take a peak into the creation process for any custom, let alone these Lunartik Minis, which don't get customized as often as other platforms. 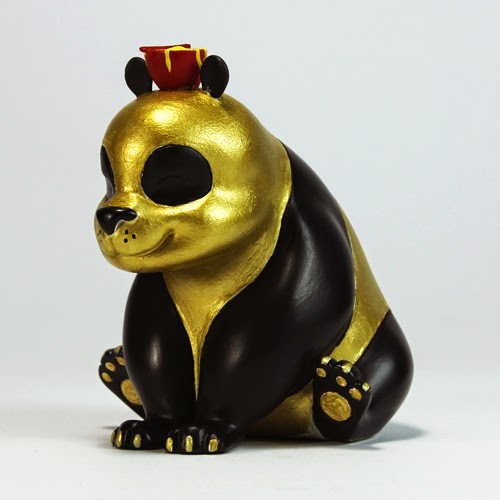 For those attending ToyConUK 2015, be sure to stop by the Lunartik booth and check out all of the Fans of Teas customs. 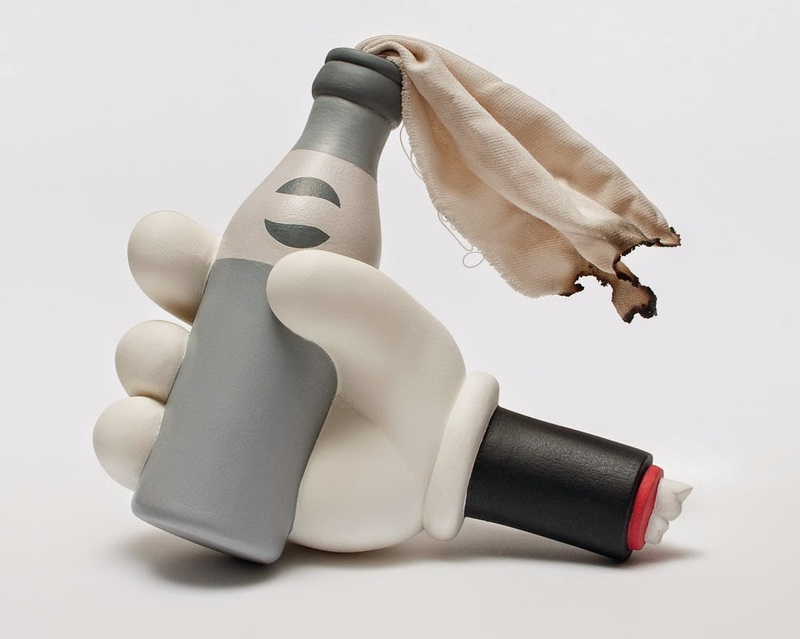 Canada based artist Patrick Wong, has created a lot of customs inspired by the iconic image of the Molotov Man. Patrick's latest creation is an art multiple, created from an original sculpture, called Emblem of an Abstract Riot. 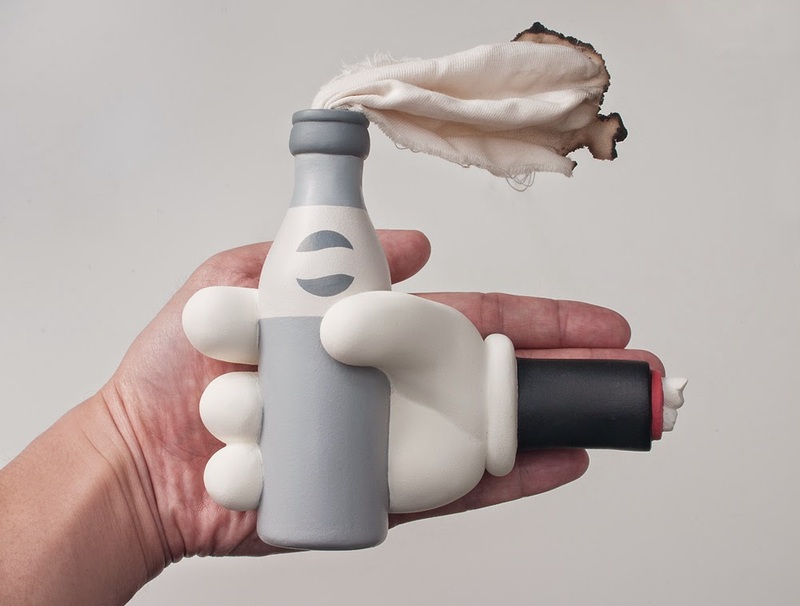 The piece is a dismembered cartoon hand, clutching a molotov cocktail, representing a failed uprising. 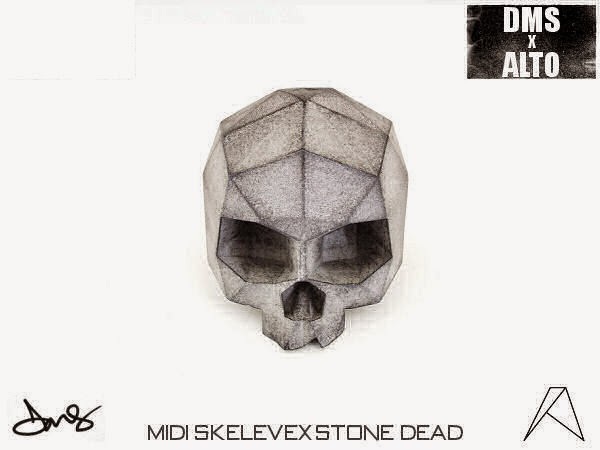 Measuring around 6" x 6" x 3.75", each piece will come with a signed and numbered Declaration of Authenticity. Priced at $150 plus shipping ($25 to the US), Emblem of an Abstract Riot will be available for purchase on April 28th, at 9PM PDT. It is also noted that this piece has been held by Customs in the past, due to the nature of it's subject. Wizard World Comic Con is coming to the Las Vegas Convention Center on April 24th to April 26th. 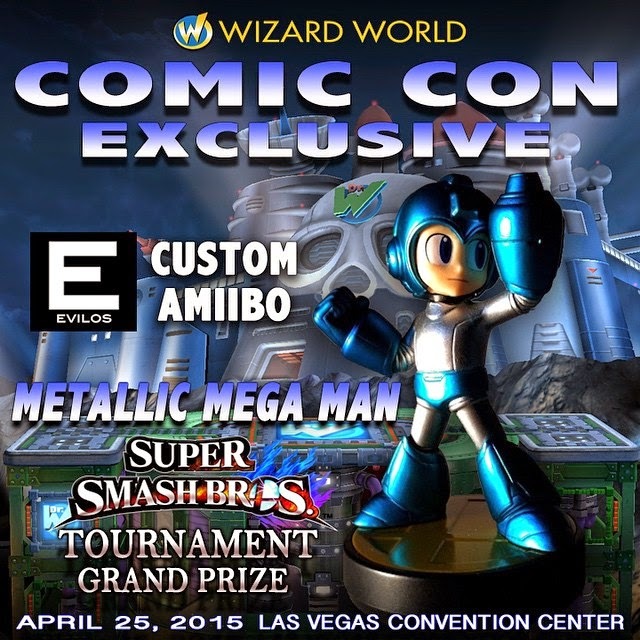 During Wizard World Comic Con, there is going to be a Super Smash Bros Tournament, which will feature a Custom Metallic Mega Man Amiibo, created by Evilos Art. This exclusive custom will only be available to the winner of the Tournament and Evilos did an amazing job with the custom paint application. For more info regarding Wizard World, be sure to check out the Wizard World website. 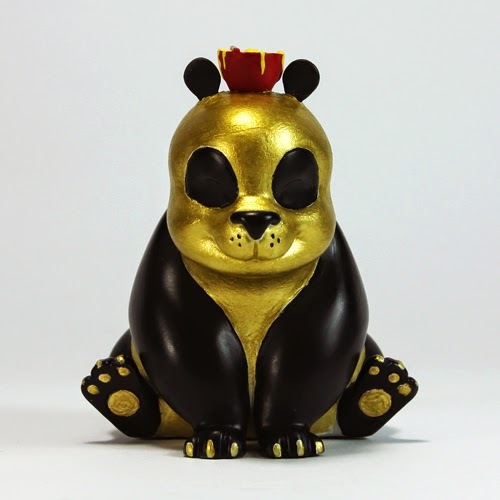 Sarah Tan, aka The Real Firestarter, is an artist based out of Singapore who released her first designer toy in January 2015, called Noodles The Panda. 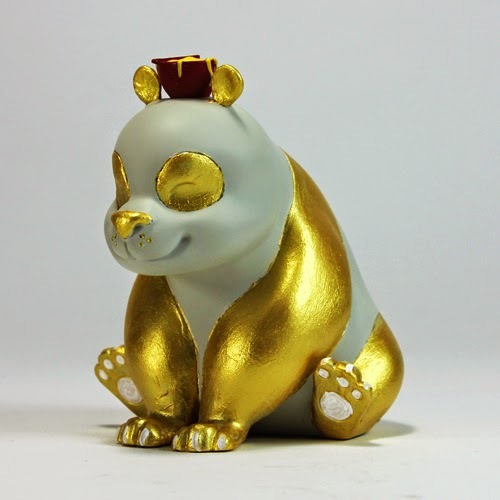 With the Thailand Toy Expo taking place from April 30th to May 3rd, Sarah created a Gold Edition of Noodles as an exclusive release for the Expo. 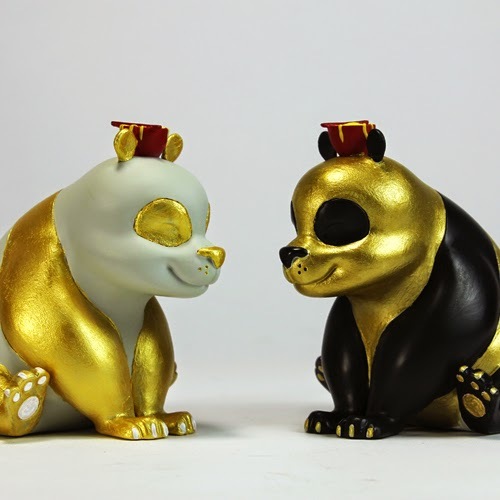 Limited to just 10 pieces total, 5 White/Gold and 5 Gold /Black, these exclusive pieces are going to be priced at $120 USD, or 3800 Baht. Noodles sits at around 4" tall and is around 3.5" wide. Any leftover pieces after the Thailand Expo will be placed on Sarah's online store. Be sure to check out The Real Firestarter online store for the Original Black and White edition of Noodles, priced at $60 plus shipping. 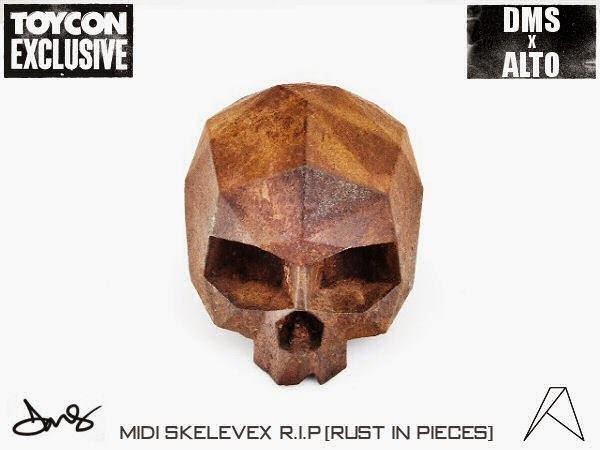 'ToyCon UK sees the inaugural release of 'Project X' - the debut collaboration of David Bishop [RunDMB] and Chris Dobson [alto]. 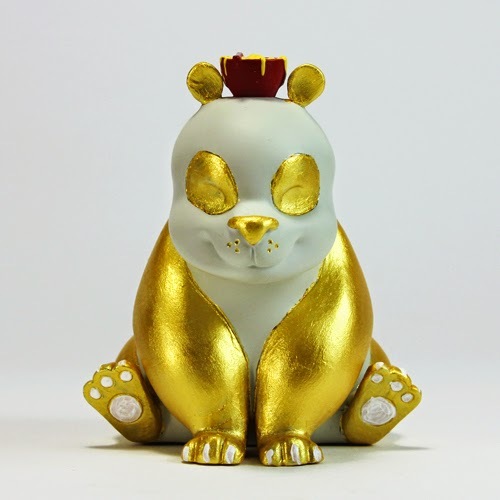 Expertly rendered in resin by Muffinman, the initial Con-exclusive colourway 'Prime' will see a limited edition of 6 of the angular monsters let loose in York Hall, Bethnal Green, London, this coming Saturday. 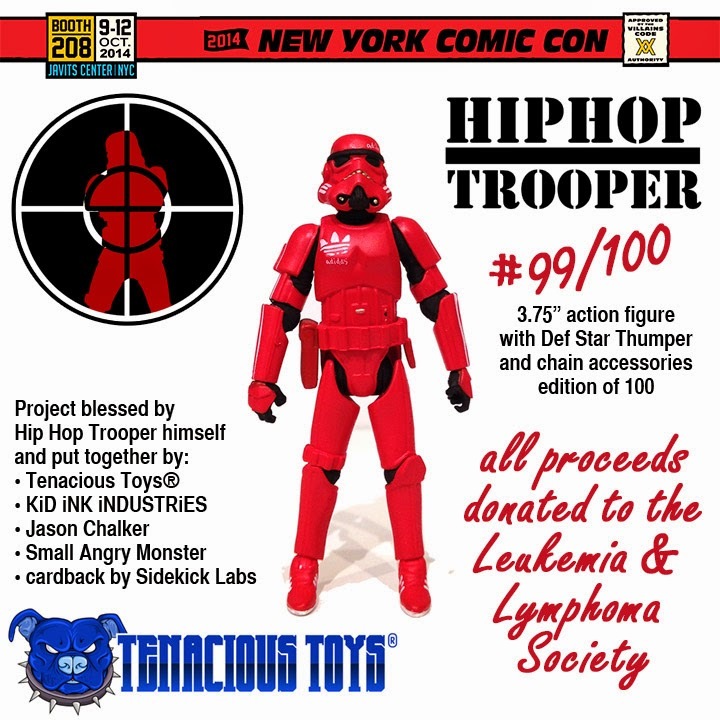 Our second of 3 auctions of Hip Hop Trooper action figures to benefit various charities is up right now: HHT #99 out of 100 is on eBay right now here. 100% of money taken in by this auction will go directly to the Leukemia and Lymphoma Society. Auction ends on Tuesday April 28th. No reserve, starting bid price is 99 cents but of course we'd like to raise as much money for this cause as possible. Last HHT auction (#100) benefited the Breast Cancer Research Foundation. PLEASE SHARE THIS POST IF YOU KNOW SOMEONE THAT HAS BEEN AFFECTED BY LEUKEMIA OR LYMPHOMA. After this we will auction one more (#98), most likely for a different charity.